The first online casino was opened in 1994, but it’s not until 1995 that the online gambling industry as we know it was really invented. That second date is when the first online secure payment systems were introduced and the term “casino banking” appeared. We run an online gambling site, so you can take it for granted that we enjoy casino games, from online slots to live-dealer table games, but without actual money, this remains a fun pastime rather than a multi-billion dollar industry. What does casino banking do? Casino banking is pretty simple. You need a system to transfer money from your bank account to an online entity that may be in a different country or even on a different continent. You also need it to be capable of taking back money from that entity when you win £1 million on a progressive networked slot. The simplest way of doing that is via your bank account, represented usually with a debit card. But if you dig into the small print at some casinos you’ll find that they do actually accept (and payout) in old-fashioned cheques. We can’t recall seeing a casino that accepts cash, but it might exist. The problem with cheques is that they are a slow, pen-and-paper solution to an instant question in a wired world. Debit and credit cards are the banking world’s answer to the modern world. Visa and Mastercard dominate the market, and in the UK, Visa Debit is by far the most popular debit card in casino banks. If you look at the banking policies of most casino sites you’ll find out that Mastercard payments can take longer than Visa ones. Credit cards are less popular again, but they’re still available to players. The problem is that a credit card means you’re playing with someone else’s money – it’s a loan, after all. That means casino sites are more cautious about accepting them – and commonly charge fees for doing so – and that you should be cautious about using them and racking up debts. In the 21st century a whole new financial sector has grown up, and you can measure its growth in the logos that now appear on the front pages of casino sites: PayPal, Neteller, Skrill, Paysafecard, Entropay, Giropay. These are online wallets and transfer systems of various types and they’re revolutionising online payments, particularly on mobile devices, where a simple, one-tap solution to online casino deposits is not just convenient it’s pretty necessary. A step further along this technological road are a new generation of pay-by-phone apps. Most of these aren’t linked to your bank account, or to cash, but use your phone bill as a way of sourcing the cash to make a casino deposit. They’re even quicker and even more convenient – and as with anything new, fast, and convenient, you should check the small print on whether or not you’re being charged fees at either end of the process. When you pick a casino banking system you want something that works every time; you want something that works quickly (people are always asking us for the fastest withdrawal online casinos, so a payment system that slows things down is a no go); you want a trusted company with payment protection if possible; and, ideally you’d like something with no charges. PayPal jumped headfirst into the casino market, but in 2003 the company stopped offering payment services to the gambling sector – probably because of the confused legal status of gambling in the US, the company’s biggest market. Now though (since 2010) PayPal is back in the market. PayPal is the closest thing to the Bank of England that the online payments world has. It has hundreds of millions of users and is widely accepted and trusted. You may well pay for that peace of mind with a small fee for using PayPal at a casino, and you might find that the casino limits some bonuses to PayPal users. PayPal is still very picky about the sites it works with. There are legal limits on their gambling services, mostly around gambling in the US. This makes PayPal a great sign of quality and trust. More common than PayPal is Neteller. This e-money company is another good sign at a casino. It is UK owned and based – in the Isle of Man – and is regulated by the Financial Conduct Authority. Customer funds are safeguarded and stored in their own accounts. Trust is massive in online gambling and Neteller’s record and regulation have made it a favourite, processing payments from 85% of gambling businesses. Neteller keeps up to date with the latest security. (It has great advice on its website that you should check out whether you use the system or not). It’s also started to offer VIP services to big customers and to offer an even higher-security payment card option. Neteller’s parent company now owns one of its biggest competitors, Skrill. In fact, there’s been quite a bit of consolidation in the business in recent years, and Skrill in its turn also owns Ukash and Paysafecard, both logos that you might see advertised as online casino payment systems. Like Neteller, Skrill is UK-based and regulated by the FCA. One big plus for the company was its acceptance as the preferred regulated online wallet for gambling sites in New Jersey, the UK state that is leading the charge towards legal, regulated gambling in the United States. Skrill is an online wallet and works very much like PayPal and Neteller. Hopefully, its ratings are improving, but in the past, Skrill did receive low ratings for its customer service operations, though if you look hard enough you’ll find people complaining about all online payment systems. Having mentioned Skrill’s purchase of Ukash and Paysafecard we should cover this payment method. UKash cards were transferred to Paysafecard and you shouldn’t really be seeing the UKash logo any more. 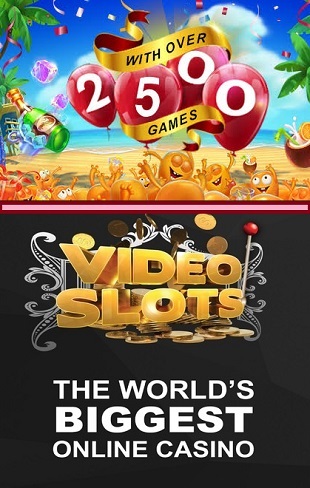 These might be the fastest online casino payment method there is and they are the closest thing to online cash. Paysafecard casino payments are made via cards sold in stores. Like banknotes, they come in various denominations and are sold nationally by currency. Each card has a 16-digit pin code on it that you must input at your casino site along with the amount of money you want to deposit. This is a very secure way of paying because you can’t lose money that you haven’t put on the card yourself. However, because you can use the codes multiple times to make small payments then you must be careful with your card and your codes. With all of these payment methods, you should make sure you check the small print both on the payment method and at the casino you use it at. Be sure you know what charges might be made, how withdrawals are handled and that you are happy with the security and practical details of payment systems. Entropay is another online payment card. This is a virtual card though rather than an actual piece of plastic. It is widely accepted at online casino sites and – fantastic news! – the company is regulated in the UK by the FCA. It now partners with Visa for some of its online payments and claims to make money transfers in less than 30 seconds. It works very like the other pre-paid cards listed above. You load funds onto the virtual cards from your bank account and use the virtual card online. Some people use these cards as a sort of buffer between their bank account and online accounts. They’re quick to use and there’s no charge at many online casinos. 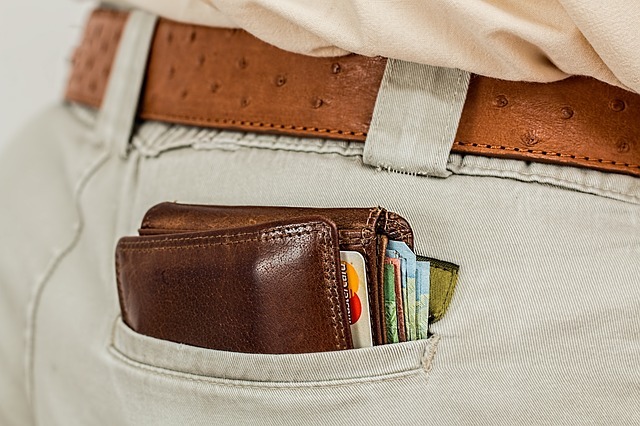 You can withdraw into an Entropay card as well as make payments with it, though many casinos will demand that you have used the system at their site before they’ll pay you. You can use Entropay across currencies, but there will be charges for conversions. In addition to the traditional methods, there are a couple of interesting alternatives. We’re all playing on our phones so it was surely only a matter of time before innovative entrepreneurs delivered a way to pay by phone too. In 2018 it’s here and in a number of forms. Paying by phone has been pioneered by charities because it allows donations to be made quickly by texting a number. The customer is charged by an additional charge on their phone bill. Pay by Phone has also started to appear in car parks. Anyone who has struggled with broken ticket machines, card readers that don’t work, and pockets full of the wrong change will cheer this quick, safe and secure payment method. There’s no quicker way of paying. You don’t need an account and things can usually be handled in a single tap or click. And your personal data exposure is limited to your phone number. There are a number of apps now offering casino deposits by phone, including systems that charge your phone bill and apps like Boku that use a single tap to handle payments on mobile phones. This is useful because players don’t want to have to mess around with physical cards or to log into a separate account on another site when they’re using their mobile. Be sure you’re happy with the security offered by the site and the app you’re using before you go ahead with any payment system. Bitcoin is interesting – and controversial. This cryptocurrency is worthy of whole websites and if you want an in-depth discussion of the moral, legal, economic, and even ecological impacts using Bitcoin then please dive in. You might see Bitcoin offered at an online casino. If you do that’s fine, but remember that one of the attractions of Bitcoin to criminals and money launderers is that it is very hard to trace. That shouldn’t put you off using Bitcoin to make fast and convenient casino payments, but if you see a casino site that offers ONLY Bitcoin payments then we suggest that you steer clear. There’s not a great deal to be said about online casino deposits and withdrawals beyond urging you to make a close and careful reading on the rules at the casino site you would like to use. Is this site licensed for my jurisdiction? Are the payment partner details on the front page legitimate? Is my payment method accepted? Do I know the charges for using my payment method? Is my payment method legal and regulated to protect my funds? Is this the genuine site with the correctly spelt name and a secure browsing icon in place? Following the checklist above is the least you should do before you give anyone your payment details. You should also know exactly what to do with any payment method you use should you believe your account has been compromised. Once you’ve made your checks go ahead and make your payment by following the online instructions. We would advise that you don’t deposit large amounts of money in a casino account until you’ve used that site for a while. Limiting your access to funds is a good way to keep on top of potentially dangerous gambling habits. Once you’ve enjoyed your games then you want to withdraw. While you might hope you’ve got a fast paying casino, the truth is that most legitimate casinos take broadly similar amounts of time to process and pay out winnings and are likely to ask for the same safety checks or ID requirements from you. Any casino that makes a big deal of allowing you to sign up and receive winnings instantly is one you should regard with caution, as to do so legitimately is not easy. A fast paying casino is good, but it must be an honest and legal paying casino too. Now go forth and gamble safely!